MOSCOW, the Russian Federation (BulgarianMilitary.com) – Russia’s Pacific Fleet will accept into service six diesel-electric submarines, eight corvettes, a destroyer, nuclear-powered subs and small missile ships armed with cruise missiles, in a very short period. This was stated, today (12th December), in an interview of the Pacific Fleet Commander Admiral Sergei Avakyants with the Defense Ministry’s newspaper Krasnaya Zvezda, learned BulgarianMilitary.com. In particular, he explained that by the end of this year, namely in late December, it is planned the Gromky corvette of Project 20380 to enter servicewith the Fleet. The admiral pointed out that this is the second vessel of Steregushchiy-class corvettes that is specially constructed for the Russian Pacific Fleet under Russia’s rearmament program. Currently, the warship is at the final phase of its shipbuilders’sea and state trials. In the following year, the Pacific Fleet will acquire and the advanced Steregushchiy-class corvette – Gremyashchiy, developed under the Project 20385, which is a follow-on project. Pacific Fleet’s Commander explained that the construction of the warship moves as planned and it soon will be completed. According to his words, the personnel have already taken its place on the Gremyashchiy corvette. Having in mind that the warship is the first carrier of Kalibr cruise missiles that will enter service with the Russian Pacific Fleet, the crew’s training was conducted observing this factor. Admiral Sergei Avakyants again pointed that 8 corvettes of this class will be operational with his fleet. Four small missile ships equipped with Kalibr and Oniks cruise missiles will be constructed under Project 22800, by the shipyard in Komsomolsk-on-Amur, located in the Russian Far East, in order also to enter service with the Pacific Fleet. The Udaloy-class destroyer of the Russian Navy, Marshall Shaposhnikov, will also be armed with the strike missile complex during its modernization process. The Pacific Fleet will also be reinforced in regard to its submarine component, by acquiring six of the latest Project 636.3 diesel-electric submarines. 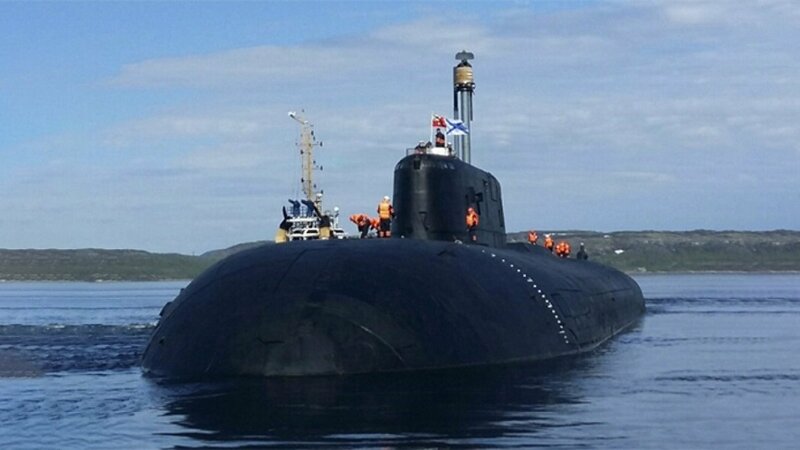 The first Varshavyanka-class submarine is scheduled to become part of the Fleet in 2019. The commander of the Fleet said that the upgrading of the nuclear-powered underwater missile cruisers of Project 949A, in order to be armed with Kalibr cruise missiles, is still ongoing.